Do you feel the need to filter out the non-appropriate aspects of the internet and Android for better parental control? Check out this guide to some of the most useful parental controls apps and tips, along with some excellent kids mode app for Android. The idea of a phone may have begun as a means of communication, but the modern smartphone has evolved into so much more. From keeping your social quotient at the maximum to sorting out work with Android, the possibilities of the pocket computer we go around with every day is simply limitless. While we grownups have lived through the age of modern Android devices, the young ones are born right into it. The household Android tablet or phone is an invaluable resource not just to help your children connect to the World Wide Web, but a tool to educate and help kids improve their learning skills. But for every learning and creative thinking app that Android comes with, it has a dozen other objectionable content that your kids are exposed to. Rather than putting the Android phone or tablet on lockdown, why not make your device child-safe with effective parent control tips and apps? Before we get on to discussing some of the best kids mode and parental control apps available, let’s start with the features we already have at hand. Keeping a check on the content that young minds are given access to is a concern for the entire tech industry, which is why Android comes with a bunch of excellent features that help turn any phone or tablet into a child-safe device. 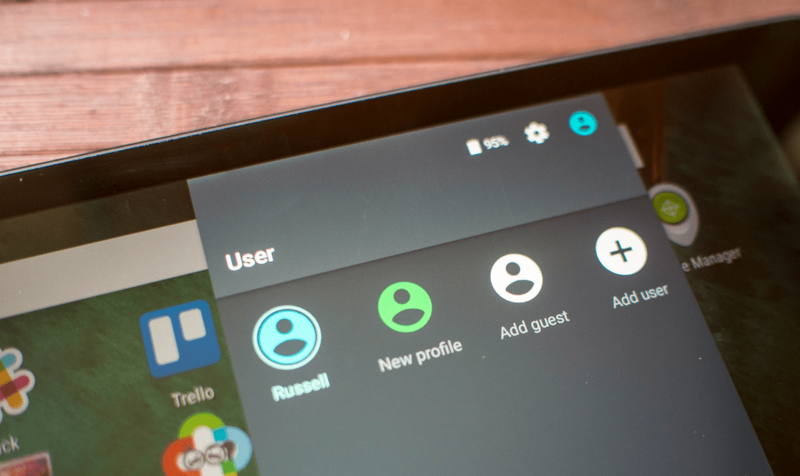 A few years ago, Android adopted an exceptionally useful feature from computers, which allows different users to create profiles on a single device. When it comes to using a family tablet that is used by the parents and the little ones, creating separate profiles for kids can ensure that they stay out of your private apps and files, and restricting which apps they have access to. From the Settings app on your Android phone and tablet running version 4.3 and later, head over to “Users” and select “Add user”. Give the Kids profile the name you want and check out the list of apps, out of which some are restricted by default. You can tap on the toggle switch next to the app to restrict/enable access to it. You can then set a passcode on your user profile so that the kids have access only the user profile you have created for them, right from the lock screen. Apart from disabling the apps that kids do not need, you can also disable the option to allow phone calls and SMS from the kids’ profile, which is great to keep teenagers off your phone. If you have kids around who are crazy about your Android phone or tablet, but not old enough to be using separate profiles by themselves, there’s an easy fix. With all devices running Android 5.0 Lollipop and older, there is a feature called screen pinning that is built into the OS, which enables you to lock a single app to the screen. This method is great to pin a single app that you kid wants to use while blocking them from accidentally or intentionally accessing anything else on your device. Start off by heading over to the Settings app on your Android device and head over to the Security menu. You can choose to set up a PIN or passcode to keep your child from disabling the option if they are old enough to read the on-screen instructions. Once screen pinning is enabled, open the app that you want to keep pinned and press the overview button (box button on the bottom-right) and press the pushpin icon on the app card. If you have a PIN or passcode set up, it will need to be entered to unpin the app, or you can press and hold the back and overview buttons simultaneously to unpin the app from the screen. Whether you have children around at your home or have ever made the grave mistake of handing over your phone to an entertainment-seeking kid, you probably get your phone back with a bunch of useless games magically installed on your phone. 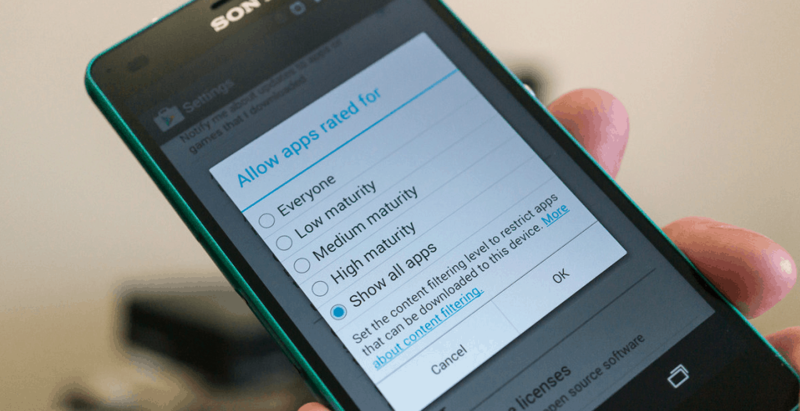 Since the Google Play Store is packed with more junk and ad-plagued games than useful apps, setting up restrictions on the Google Play Store should be your first line of defense. Fortunately, there is a good set of parental control features built into the Google Play Store, you can start off from its Settings. You can begin by setting restrictions based on viewer rating (Everyone, Teen, Adults only, etc. ), limit games download by age, restrict music and books with explicit content. All you need to do is set up a PIN or passcode to enable these Google Play Store restrictions and you can turn it into a child-safe zone. More importantly, if you have your payment details set up with your Google account and worry about your kids buying content or making in-app purchases, there’s restriction for that too. By enabling the option to ask for your password “For all purchases through Google Play on this device”, you can put a full-stop on any accidental spending online. Pushing father to make the Android OS a family-friendly technology, the Mountain View company developing Google Family Link – the ultimate parental control service. More than just setting up restrictions on shared Android devices, this service will enable parents and teachers to keep a watchful eye on the devices used by the young ones. Google Family Link will allow you keep a track of the apps and services that the kids are using on their device. All of this parental control is done while keeping the private lives of the young ones private. The service has very recently been announced and is only available on request to Android users in the United States. Despite the decent parental control features that are built right into Android, they can take you only so far. Since the Google Family Link service is not yet available to the public, there is no native option for setting up parental control on the personal Android devices that your children use. Fortunately, the Google Play Store offers a decent range of kids mode apps for Android parental control. By installing these apps on the devices that your children use, you can not only control the elements that are available to them, but also keep a watchful eye on their online activities without being too intrusive. If handing over your phone or tablet to the little one is risky business every time, this kids mode app is the one you should consider getting right now. Essentially an app launcher that is packed with more parental control features than you can put to use, Kids Place ensures that your personal data is way beyond the reach of your kids. Kids Place is equipped with basic features like the ability to restrict downloading new apps from the Google Play Store, making phone calls, carrying out online transactions and more. But the highlighting features include the Time Lock to restrict usage of the device during certain hours, Toddler Lock, plugins to filter out appropriate content and special features that are unlocked with the premium version of the app. Created by a formidable name in antivirus apps for Android and internet protection, Kaspersky SafeKids is designed to expand further than just Android. While you need the premium version to control the content accessible to your kids across all the platforms, the free version packs plenty of options to block inappropriate websites, enabled Internet Safe Search, and offers app restrictions. In order to view a certain blocked website, the kids can simply send an online request to your account for unblocking, which can then be granted online. From setting up age-based restrictions to apps and web services to managing the hours that your children can use the Android device, there’s even more that Kaspersky SafeKids can do if you go ahead for the premium version. For times when you just want to keep your kids busy without having to worry about them messing up your phone, KidsWorld has got you covered. The protection begins right the startup, which restricts the children to exit the app with a passcode in place that you set up when you installed the app. You can build up the list of apps that kids have access to, block in-app purchases and ads altogether, and create a YouTube playlist inside the app itself. With a simplified user interface that is suitable for young children, KidsWorld comes with a built-in timer that makes the screen switch off automatically, so you don’t have to pry the device out of your kids’ hands. While administering the Android phone or tablet at home is easy for the little ones, keeping a check on the older kids can be a nightmare. 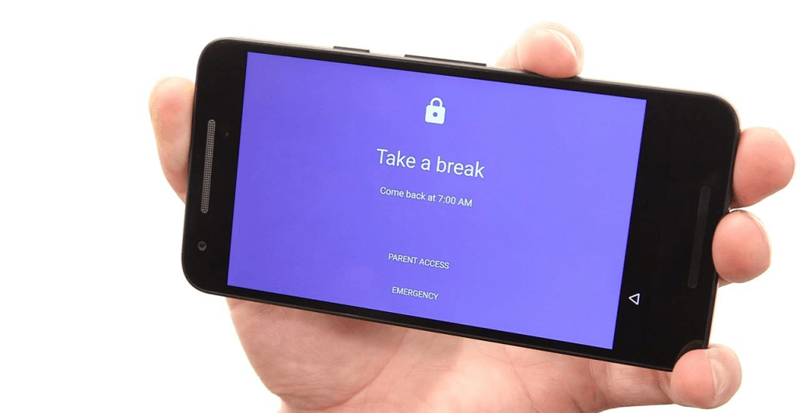 Screen Time Parental Lock hopes to ease your pain by giving you a front seat view of what your kids are using their Android devices for and for how long while giving you the authority to manage the time they spend on these apps. Starting off, the app enables you to set a timer for how long you want the kids to spend their time on a particular app. While blocking games and social media apps during bed time and school hours, you can keep the educational and learning Android apps available for use. If you’re tired of having phones out on the dinner table, press a button and put all the devices into timeout mode for a family meal. 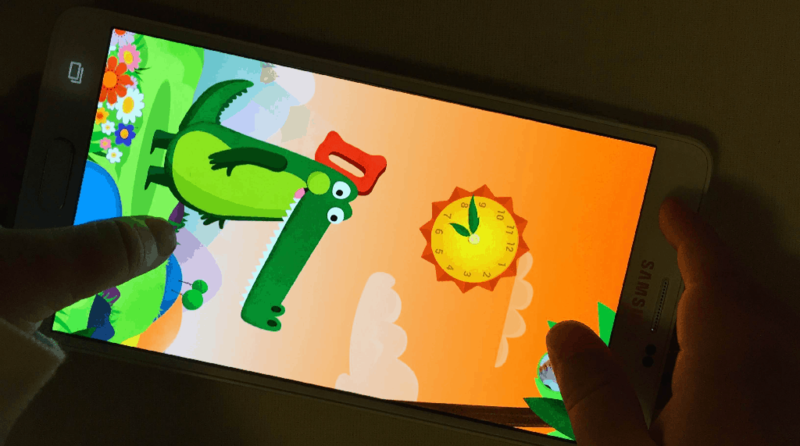 Developed exclusively for Galaxy devices, the South Korean tech giant Samsung has created the Kids mode app to give the kids a fun new way to learn and play. Possibly one of the most polished kids mode apps you can find online, it is packed with a simplified and beautiful user interface and customizable characters that let their imagination run wild. The Kids Mode app in itself comes with a bunch of apps that you can fetch from the built-in Kids Store. The Kids Store includes a bunch of educational apps, digital toys to keep the wandering minds busy, and entire story books that can save your life during road trips. While the app barely has any dedicated parental controls built into it, it is designed to be the only app your child will want to use on your Android phone or tablet. 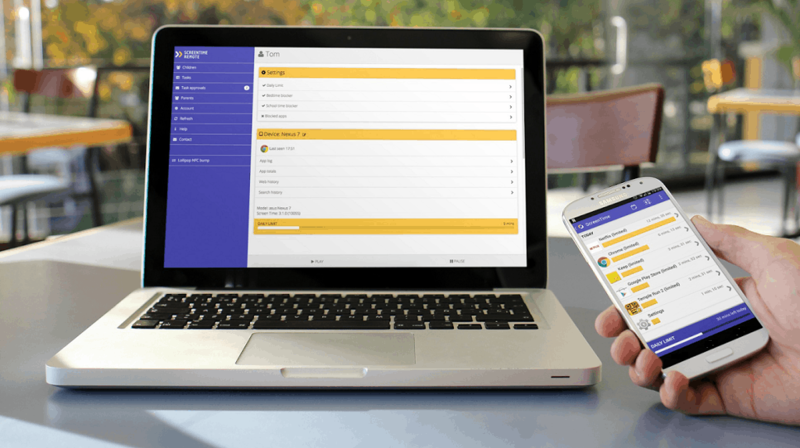 Another parental control app created by a major antivirus and internet security brand, Norton Family has one goal in mind – keep the kids safe online. Starting off with the ability to monitor the online activity on devices, this Android parental control app helps parents and teachers block unsuitable content, cultivate good internet habits and prevent accidental or purposeful sharing of personal data. Norton Family comes with features like Web Supervision to track online activity, Parent Alerts when any set rule is broken, Location Supervision, Text Message Monitoring and much more. With a detailed Activity Report created every 30 days, you can spot the trend in how your children use their smartphone and tablet, and curb any unwanted habits that may be emerging. The internet at large and even the Google Play Store with its millions of apps packs more objectionable content these days than ever before. Keeping the young minds from straying off to apps and games that offer no real value to their growth and learning need Android parental control to put a leash in place. While kids mode apps that have been listed above are essential to keep your phone secure when handing over to a fidgety kid. More than just keeping your off your back and busy on your phone, these kids mode apps offer a creative element to the developing mind. And as they get older, the Android parental control apps will ensure that the online elements of social media, web browsing and gaming are kept in check.